March 20, 2019 ~ Sleepy Owl Co. Happy Spring everyone! It actually feels like Spring today too. How un-Canadian! LOL Well today on “Watch it Wednesday!”, I’d like to share a video my daughter (Kiyana – Kiki for short) made. She has her own monthly segment called “Crafting with Kiki” and it’s basically her time to shine. In fact, she would love it if you subscribed to our YouTube Channel Sleepy Owl Co here, so you won’t miss any of our new videos! In the video, Kiki assembles Stampin’ Up!’s monthly subscription box called Paper Pumpkin. 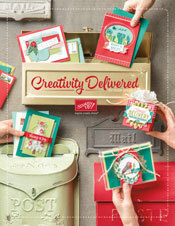 Paper Pumpkin is a crafting subscription kit that delivers creativity to your door every month. 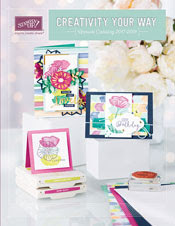 Each box includes everything you need to make a stunning project. March’s kit, called Poppin’ Birthday, was a special one because it celebrates Paper Pumpkin’s 6th birthday. That means the box was decorated (not just its usual orange colour) and best of all, it included an extra stamp set! The stamp set has large numbers which are very useful, and a sweet balloon that coordinates with Stampin’ Up!’s balloon punch! After Kiki had her turn and went to bed, I wanted a chance to play with the kit as well. I only made 2 cards since I need to know who has an upcoming birthday before I apply the age! Did I mention that they are POP-UP cards?! Super cute! Hints about April’s Paper Pumpkin kit! April’s kit will feature a Distinktive stamp set. What is that, you ask? I’m so excited to see what it will look like! Get April’s Paper Pumpkin kit now! If you are interested in April’s kit, be sure to order yours before April 10th. Visit my online store to purchase pre-paid subscriptions. Did you know a 3-month pre-paid subscription will earn you a Sale-a-bration freebie?!?! (until March 31st only).